Stitch less :No stitch is given. 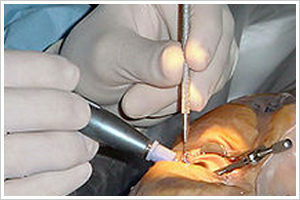 Without need for admission and after operation the patient can go home immediately. Stabilization of vision and rehabilitation of the patient is quick in this type of surgery so this is the preferred surgery for cataract these days.